Excellent. Intriguing. Masterful. Imaginative. These are just some of the words I can think of to describe Room.﻿ I absolutely loved this book! I couldn't put it down and I could not stop talking and thinking about Room. This story is told in the voice of a five-year-old boy named Jack. He is an innocent, precious little boy. Jack begins by outlining his daily activities. His routine seems to be just like any other five-year-old. However, I got the feeling that something was wrong. I was intrigued and I couldn't wait to find out what was going on. The mysterious feel of this novel kept me eagerly turning every page. I began to piece together the various clues in my mind. "Maybe it could be this or that," I would think. When the details were unveiled, I was horrified. The story of Jack and Ma testifies to human resilience. A person's determination to survive and even thrive in the worst circumstances is truly inspiring. Even though Room is a work of fiction, many people have found themselves in the same gruesome situation. The setting of this novel almost seems to be taken directly from news headlines. Even though all readers will enjoy this book, I think mothers will especially be touched by this story. One of the highlights of this book is the relationship between a mother and child. The character of Ma shows how a good mother will protect and nourish her child regardless of the world around them. Although this book has a happy ending, it was more than that. Halfway through the book, I kept wondering where the author was going with this story. I thought it was over and there was no more story to tell. I was very wrong. I enjoyed it from beginning to end. Room is available in paperback at www.thequalitycorner.com. 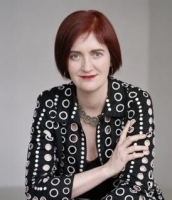 Emma Donoghue was born in Dublin, Ireland, in October 1969, she is the youngest of eight children of Frances and Denis Donoghue. She attended Catholic convent schools in Dublin, apart from one year in New York at the age of ten. In 1990 she earned a first-class honors BA in English and French from University College Dublin. She moved to England, and in 1997 received her PhD (on the concept of friendship between men and women in eighteenth-century English fiction) from the University of Cambridge. From the age of 23, she has earned her living as a writer. After years of commuting between England, Ireland, and Canada, in 1998 she settled in London, Ontario, where she lives with Chris Roulston and their son Finn (7) and daughter Una (4). Donoghue works in many genres such as drama and literary history, howerver she is best known as a fiction writer. She has won a long list of awards for her writing. She is the author of the international bestseller, Room. I had not heard of Emma Donoghue until I read Room. I have one word to describe that novel - excellent. Read my review here. For more information on this author, visit www.emmadonoghue.com. Have you ever encountered a plumbing problem you just couldn’t fix? Perhaps it was a clogged drain or a broken toilet. Whatever the case, plumbing problems can be very frustrating and can lead to disaster. Sherman Turner has written The New Plumbing Guide to help homeowners and ladies who know nothing about plumbing. This new book will help guide you in dealing with plumbers and contracting companies and help lower costs by 10 to 50 percent. The New Plumbing Guide will also help the aspiring small business owner to develop a successful plumbing business. Sherman Turner is a top rated government Master-Plumber and retired member of U.A. Plumbers & Steamfitters Local Union #22, from Buffalo, New York. He has over forty years of experience that he is sharing with readers. The first section of this book is dedicated to providing special plumbing tips for homeowners and ladies. Readers are given answers to various plumbing questions. Topics range from faucets, sinks and toilets to dishwashers, sump pumps and icemakers. The information is very extensive yet easy to understand. It is a great reference tool. The New Plumbing Guide is truly unique. As a woman and a homeowner, I really appreciate the clear instruction this chapter contains. Even though I knew nothing about plumbing before reading this book, I now feel that I am better equipped to handle an emergency. The remainder of the book is designed for small business owners who desire to be successful in the plumbing business or other construction businesses. Turner starts this section with the topic of Value Engineering. He explains how business owners can find ways to reduce costs without reducing the quality, integrity or performance of the systems they are installing. He discusses how to manage a project and the role of the project manager. Detailed instruction is given on how to provide an estimate for a project. Turner lists the advantages and disadvantages of using computer software for estimates. He also provides a list of companies where the software can be purchased. Several charts are supplied to help calculate labor hours and costs. The guidance in this book will help contractors to solve many of the problems they face. 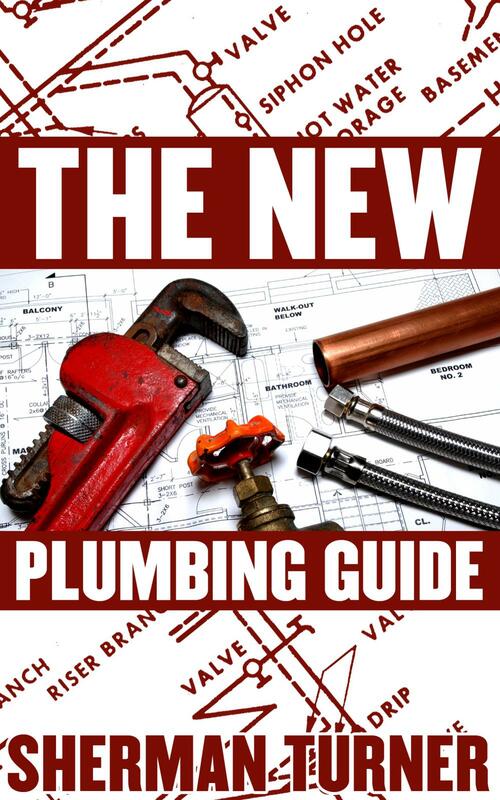 The New Plumbing Guide is essential for homeowners, do-it-yourself plumbers and plumbing professionals. Institutions of higher learning could also use this guide as a part of their curriculum. The expert guidance in this book is absolutely priceless. Sherman Turner has previously authored two books – Minorities Deceived and Kenya Rehabilitation. Both of these books have received four and five star ratings and are available in paperback and ebook format. All of Turner’s books can be purchased at Amazon.com and Barnes & Noble. I have enjoyed reading Sherman Turner’s books and I’m confident that all readers will appreciate them as much as I do. Follow Sherman Turner on Twitter - @shermanturner & @plumb8080. "Back to school already?" Many parents are hearing those words as the first day of school is fast approaching. The end of summer is a sad time for some, but for most parents it is a joyous time! To me, it seems that the summer goes by faster than any other season. I hate to see it come to an end. 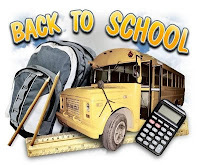 As parents are preparing their children for school, they may want to consider some books that would interest them. Two highly acclaimed writers have recently written children's books. These two books have consistently been best sellers. With his best friend awarding him points, Rafe Khatchadorian tries to break every rule in his school's oppressive Code of Conduct. But when Rafe's game starts to catch up with him, he'll have to decide if winning is all that matters, or if he's finally ready to face the rules, bullies, and truths he's been avoiding. The follow-up to the #1 "New York Times" bestseller "Theodore Boone: Kid Lawyer." Just when it seems like life for Theo is back to the status quo, a new legal mystery comes to town--and Theo is the only one who can crack the case. These books and other best-selling children's books can be found at www.thequalitycorner.com. : The follow-up to the #1 "New York Times" bestseller "Theodore Boone: Kid Lawyer." Just when it seems like life for Theo is back to the status quo, a new legal mystery comes to town--and Theo is the only one who can crack the case. High school is an unforgettable experience. The challenges we face and decisions we make during those delicate teen years can shape our lives forever. It is an exciting, adventurous time of life. Brenda Faye Collie takes us back to that time period in her debut novel, Almost A Senior. The main character, Loresha, is a junior at Major Horris High School in Harlem. She has just been elected as the student body president. Loresha is full of hope and promise. She is a good student with a bright future ahead of her. She is very driven to make improvements in her school. Soon after the election, she begins to make changes. Even though some of the changes are unpopular, she shows a strong conviction and determination to be a good leader. Loresha faces many challenges. She is the product of a single-parent home. Her mother, affectionately referred to as “Mama Police,” is a strong black woman. Mama Police has done her best to take care of her children and set a proper example for them. Loresha’s brother, Jason has had his own struggles that have affected the whole family. The family dynamic is one that many can relate to. Peer pressure is common during the teen years. Peers can exert a very powerful influence – either good or bad. Loresha starts dating one of the popular boys on the basketball team. He introduces her to a new group of people and a new set of standards. She chooses to experiment and she quickly finds out that people are not always who they seem to be. However, she learns to recognize and appreciate loyal friends. In this coming of age novel, we follow the main character through various ups and downs. Dating, betrayal, drugs and alcohol are just a few of the tests Loresha encounters. Although she makes mistakes along the way, she comes out successfully. I thoroughly enjoyed this book. It was easy-to-read and very entertaining. It is great for summer reading while lying on the beach or sitting on a park bench. Many teens and young adults can relate to the characters and situations in this story. Brenda Faye Collie is a wonderful storyteller. She is an award winning playwright and I am confident that she will continue as a successful author for many years. I look forward to her next book.